At least five churches served the western area of Winchester in the 12th century, perhaps originating in small rural settlements that were later incorporated into the city’s suburbs. St Paul’s stands close to the site of the medieval church of St Anastasius, which fell into decay after the Black Death in the 14th century, as did St Matthew’s Wyke, the parish church, which was rebuilt in the 15th century as our present-day St Matthew’s, Weeke. With the advent of the railways in the 19th century, increasing population meant that another, larger, church was needed. St Paul’s was designed by John Colson, a renowned Hampshire architect and architectural surveyor to the Dean and Chapter of Winchester. 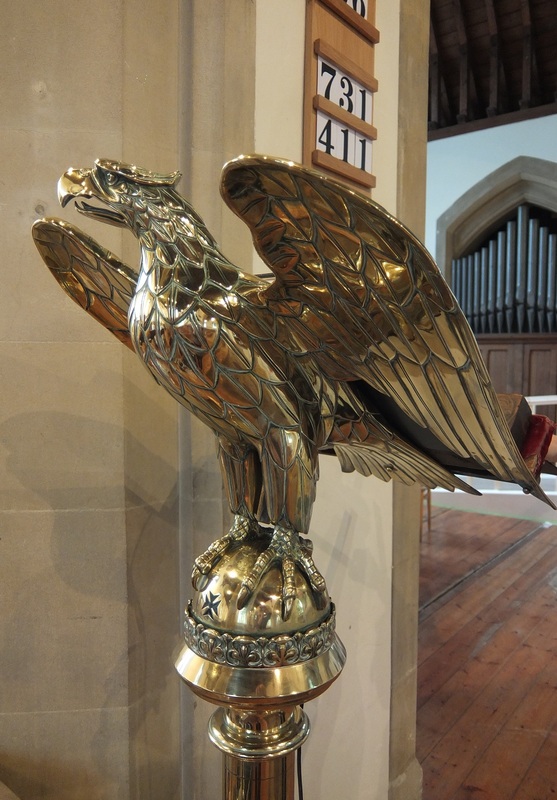 Work started in 1870 with the chancel, which was consecrated by the then Bishop of Winchester in 1872. Shortage of funds held up completion of the nave and transepts until 1889. 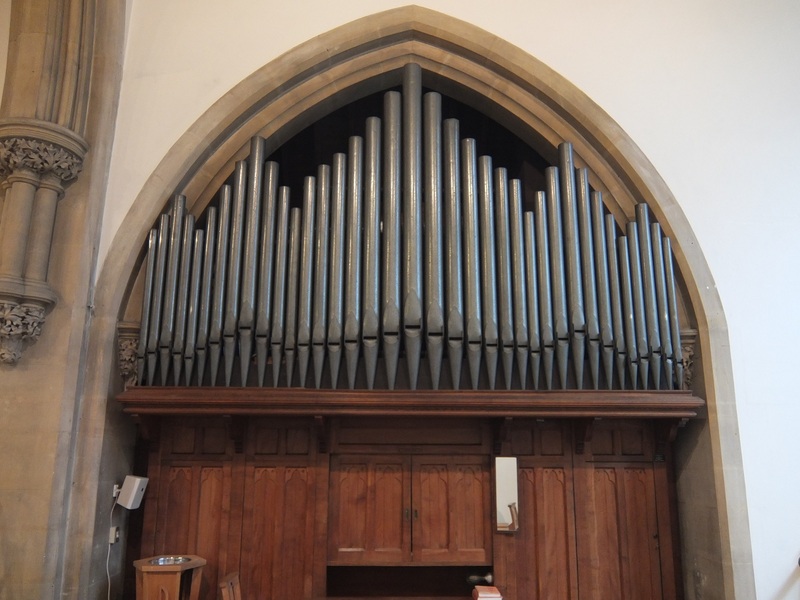 The pipe organ was installed in the 1890s and the hall built around 1900. After Colson’s death his son added the north aisle (1902), the south aisle and the porch (both completed 1910). The tower originally planned in the 1870s design has never been built. 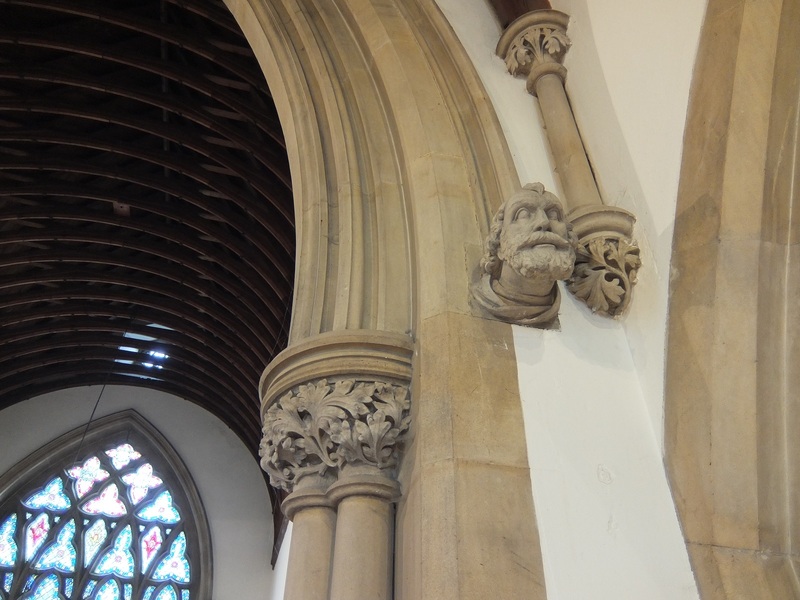 St Paul’s is typical of Colson’s Decorated Gothic style, with generous stone detailing and finely carved corbel heads. Extensive sgraffito (decoration scratched into coloured layers of plaster prior to drying) in the Arts and Crafts style was applied on the chancel walls in 1904 by the Hampshire artist Heywood Sumner (1853–1940). 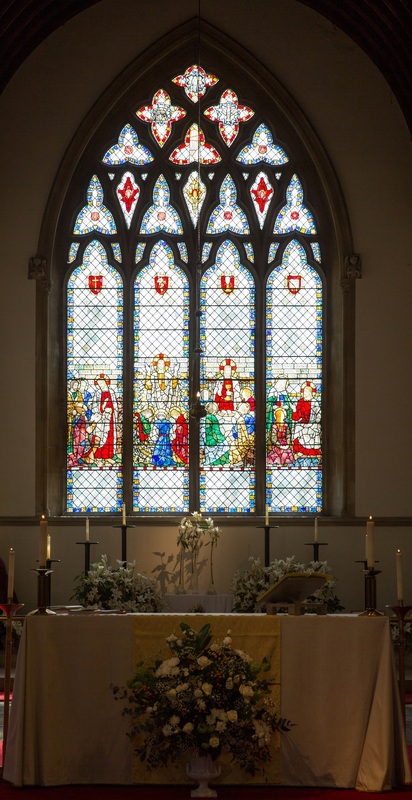 After the plain east window was replaced by stained glass in 1948, the sgraffito was plastered over (in 1962), but more recently a small area on the south wall of the chancel has been uncovered and restored. For many years, Weeke was the largest parish in Winchester, and finally with the development of the new Weeke Manor housing estate, another church building was constructed in 1967: St Barnabas. In 1972, the centenary of St Paul’s was celebrated and the church was rededicated to include the name of St Anastasius, recalling the earlier place of worship on or near the site (no remains of that church survive above ground). The same year, exploratory excavation was undertaken in the grounds of St Paul’s in preparation for the construction of an extension to the hall north of the church. Evidence of medieval graves was discovered, together with minor archaeological finds. The dig was documented by Kenneth Qualmann and the finds deposited with Winchester Museum. In 1989 Weeke parish was split into two: St Barnabas in the northwest and St Matthew with St Paul in the southeast.